JBTV is always looking for interns and volunteers who are passionate about the day to day process for producing Music Entertainment Television.  JBTV has produced and aired over 10,000 weekly episodes of JBTV since its inception in 1984. In the process, JBTV has twice garnered the coveted Billboard Music Video Award for ´Best Local/Regional Alternative Modern Rock Show´ and multiple Emmy Awards for production. Interns will have hands on experience with shooting on industry standard cameras, as well as editing videos, promos, sizzle reels, motion graphics, posters, and more! Come be a part of a dynamic, fun, and educational TV environment. If the JBTV sounds like the place for you, then checkout the internship opportunities below and apply! Edit, design, and produce some great content with us! We offer hands on experience like no other internship offered! Transcode files for over the air broadcast distribution. Create GIFs from video to post on social media platforms. Edit documentary style interviews for online audiences. Must be a Sophomore, Junior, or Senior at an accredited college or university and must receive credit. Must submit a cover letter, resume, and demo reel showcasing your abilities. A willingness to play well and learn with others! Knowledge of Adobe After Effects, Adobe Photoshop, Adobe Illustrator, and Maxon’s Cinema 4D (R17 is double plus). Ability to shoot with an ENG, DSLR, and/or Cinema camera. Knowledge of live television production. Record some of the hottest bands on the planet with us! You won't find an opportunity like this at MTV so don't even bother going to their site! Operate cameras while recording live musical performances in a multi-camera studio. Shoot interviews in both standard (with a host) and documentary (no host) formats. Must submit a cover letter and resume. Prior professional experience with Sony EX3 & EX1, JVC F900, Canon C100 & C300, and RED EPIC & EPIC W.
Experience with Kino-Flo florescent and LED lights. A demo reel showcasing your abilities. Maintain JBTV’s online presence through social media (Facebook, Twitter, Instagram, Spotify, Snapchat, Tumblr, Reddit and more). Help us promote events, operate contests and expand our online audience. Promote upcoming JBTV events across social media platforms and maintain RSVP lists. Provide live coverage for music festivals, interviews and live shows. Monitor social media analytics to improve strategy and grow audience. Operate contests and coordinate prize collection with winners. ​Must be a Sophomore, Junior, or Senior at an accredited college or university and must receive credit. Understanding of social media management tools and platforms. Knowledge of Adobe Photoshop and Adobe Illustrator. Prior social media account management experience. Design concert posters for JBTV events, as well as graphics/flyers for both physical and social media usage. Design print posters for shows at JBTV. Create online and digital marketing media for JBTV shows. Build graphic assets for future project use. Must be proficient in Adobe Photoshop, Adobe Illustrator, and Adobe Indesign. Must submit a cover letter, resume, and demo material showcasing your abilities. Knowledge of Adobe After Effects. Be a part of the newest entertainment news source to grace the internet, JBTV News! Gather information on trending stories from the music industry. Research and write worthy stories about the music and entertainment industry. Pitch your worthy stories to producers for further development. Go out and record content to be used in JBTV News segments. Work alongside the social media team to create buzz-worthy posts for JBTV social media outlets. One of the following degrees or degrees in progress: Communications, Journalism, Advertising, Public Relations, English, or another applicable field. Have a passion for news gathering. A background in and/or knowledge of Film, Television, and Gaming. Acting and/or on camera experience. Work the front desk and keep show days running smoothly! Office, task, and production management, hospitality, and running front desk operations. One of the following degrees or degrees in progress: Music Business Management, Live and Performing Arts Management, Arts Management, Entrepreneurship or another applicable field. A background in and/or knowledge of Apple software, Google Sheets and Google Docs. ​Prior experience in administration or leadership based positions. Create new marketing campaigns, and promote JBTV to the next level! Create and launch digital marketing campaigns to improve JBTV following and attendance. Seek out sponsor acquisition to improve JBTV promotions. Create social media contests and improve overall traffic on all social media sites. Work with a street team for ground marketing campaigns. One of the following degrees or degrees in progress: Marketing or another applicable field. A background in and/or knowledge of creating and launching digital marketing campaigns. ​Prior experience in digital marketing and advertising. The JBTV stage lighting internship offers a crash course in beginner’s light programming. Operating stage lights for JBTV live show tapings. Light programming for live shows. Brainstorming ideas for improving JBTV stage lighting design. ​Seeking out lighting sponsors alongside marketing team. One of the following degrees or degrees in progress: Lighting Design, Stage Crew or another applicable field. Have a passion for stage lighting and programming. A background in and/or knowledge of Enttec DMXIS software. ​Prior experience in stage design and lighting. interested in website design and development? Here is your chance to show off your skills! Work with Drupal CMS, SEO, improve blog experience, and overall performance optimization. Web design and development interns work to directly improve the JBTV website. One of the following degrees or degrees in progress: Web Development or another applicable field. A background in and/or knowledge of maintaining web design software, SEO, coding, and development. ​Prior experience in web development.